It’s a teachable moment if ever I saw one. During a public job interview for a lifetime position on the highest court in the land, Judge Brett Kavanaugh had to take an uncomfortable walk down memory lane to explain the drunken, misguided behavior of his youth. At least three women have accused Kavanaugh of sexual misconduct. But only one, Dr. Christine Blasey Ford, a professional psychologist and statistics professor, testified before a Senate Judiciary Committee on Sept. 27, saying that she was so distraught over the childhood incident that she sought professional counseling. While some of the victims’ reports of sexual misconduct date as far back as more than 30 years ago, the complaints against Kavanaugh suggest a pattern of reckless indifference that can often accompany those of privilege as they push the boundaries of their power. What has struck me the most has been the dismissive words of men trying to silence the courageous voices of the women who have stepped forward – men of privilege and influence who shape conservative thought. President Donald J. Trump called the accusations a “con job” orchestrated by Democrats seeking to derail Kavanaugh’s nomination. Trump repeatedly asked the accusers, quizzically: “Why did they wait so long?” to report. His sentiment was echoed by a chorus of amens, including one from Rod Dreher, a senior editor of The American Conservative, who referred to Kavanaugh’s alleged attack of Ford during his Georgetown Preparatory School years, as simply the “loutish, drunken behavior of a 17-year-old high school boy.” Ford accused the then-teen-aged Kavanaugh of pinning her to a bed, and trying to take off her clothes as he held his hand over her mouth to prevent her from screaming. Why do allegations of incidents that happened 30 to 40 years ago matter now? It all boils down to one word: integrity. And as president of Morehouse College, a liberal arts institution dedicated to developing men into leaders, this national lesson on integrity is one that every person who aspires to serve in an office of gravity requiring public trust must comprehend. Character matters. Respect for women is nonnegotiable. As the leader of the world’s only historically black college for men, I will continue to emphasize to the students and young boys that I encounter that integrity is everything. Whether you aspire to be a politician, a U.S. Supreme Court justice, or a CEO, the job interview begins in your formative years. It is essential to live your life with a set of guiding principles that order your steps because the choices that you make from childhood to adulthood could be open to public scrutiny. And particularly for the men we serve at Morehouse — predominantly Black men — privilege is not a shield that can be activated to protect them from misdeeds. Men of color are often treated as guilty until proven innocent of an accusation or crime. Their punishment is swift and severe. The loss of their college and career dreams. Imprisonment. Death. A student came to me recently seeking help for a bright, young man from his own hardscrabble neighborhood, a young man who is sitting in jail facing charges for illegal possession of a weapon. There was no evidence that the teen committed a crime with the weapon. He is not a gang member, but a talented student athlete. His “youthful indiscretion” landed him in jail. My student was distraught because he knew that but for his acceptance to college, he could have fallen onto the same path, putting his goals far beyond his reach. I can’t help but wonder what Kavanaugh’s fate would have been if the allegation against him in high school had been reported. Would he have been set on a path that would have precluded his attending my alma mater, Yale University? Would he have been barred from applying to law school, or becoming a judge and, eventually, a U.S. Supreme Court justice nominee? Or would the forgiving cloak of privilege assure his ascension to the nation’s most powerful bench? As men of color and future leaders of businesses, courts, and government agencies, Morehouse scholars are aware of the double standard that exists when it comes to excusing the bad behavior of the Brett Kavanaughs in this society. They know as job candidates for positions of power, they must be above reproach. It is my hope, that the lesson that stays with them from the Kavanaugh confirmation hearings is one of consequence. By living a life of integrity in service to their communities, they will see that they can create an America where the voices of the under-represented can never be muffled by the agenda of the privileged. And the candidate with the pristine record and experience will be more likely to get the job every time. 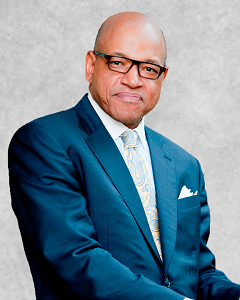 Dr. David A. Thomas is the president of Morehouse College.